(Newser) – A winner of The Apprentice and three other former contestants on Donald Trump's reality show denounced the GOP front-runner's presidential campaign as racist and divisive on Friday. 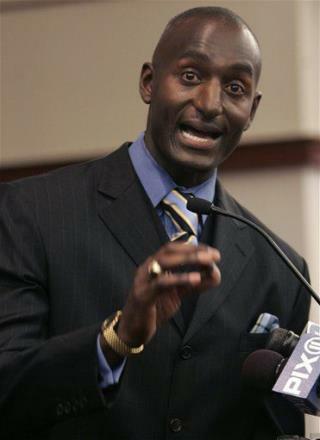 Randal Pinkett, a business consultant who won the show's fourth season, said he is grateful for the opportunities that have come his way as a result of the reality show but added, "because our allegiance to our country supersedes our relationship with Donald, we see today as an act of patriotism, not disloyalty." Pinkett held a Manhattan news conference with three other former Apprentice contestants, all of them black: Kwame Jackson, runner-up from season one; Tara Dowdell from season three; and Marshawn Evans Daniels from season four, who appeared via a video feed, the AP reports. Not a lot of gratitude. Wasted effort.